GIVE US YOUR IDEAS AND PRICE, WE'LL MAKE IT COME TRUE! Specialize in manufacturing hand tools and guarantee to meet your sandards! • We manufacture precision equipment professionally. • We have over 1000 screwdriver patents. • We produce wide-range inspection tools including pick-up tools. • OEM orders are welcome. 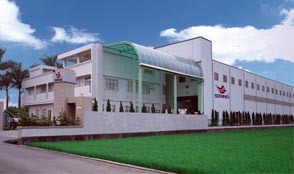 STAND TOOLS ENTERPRISE CO., LTD.
No. 55, Cheng Feng Lane, Tai-Ming Road, Wu-Jih, Tai Chung Taiwan 414,R.O.C. ®2007 All Right Reserved by STAND TOOLS ENTERPRISE CO., LTD.